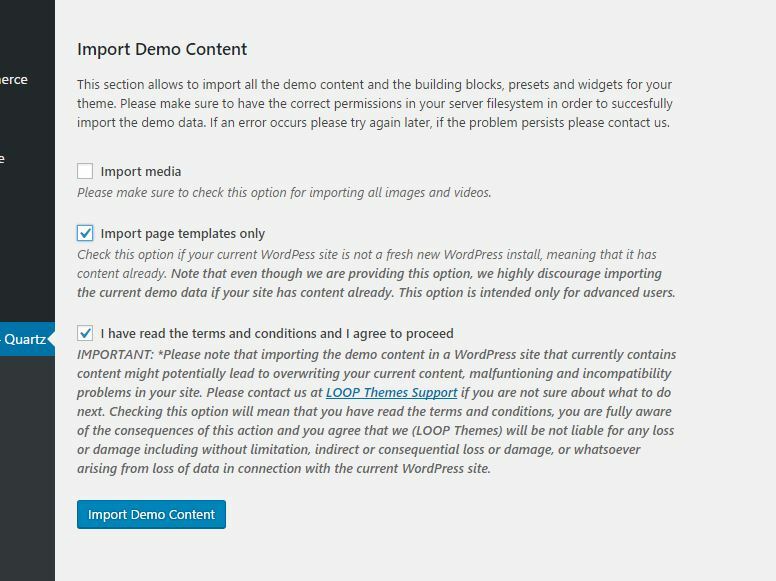 1 – Don’t want to import all content and attachments to your WordPress database and admin because you fear some of your current content might be overwritten, even if the importing process should not overwrite any of your data, there is always a certain degree of risk of something being overwritten when you import data to a database and filesystem. 2 – You simply want to setup your theme at your own pace and way, and create along the necessary pages you need and no more. Step 1: Install and activate the required Assembly plugins. 1 – Make sure you have installed the required plugins that the theme needs in order to import the demo content and work. The theme will alert and ask you to install the plugins, as in the image below, click on the “Begin installing plugins” button. 2 – Click on the “Check all”checkbox in order to check all items in the list, select “Install” in the drop down and click on the “Apply” button. 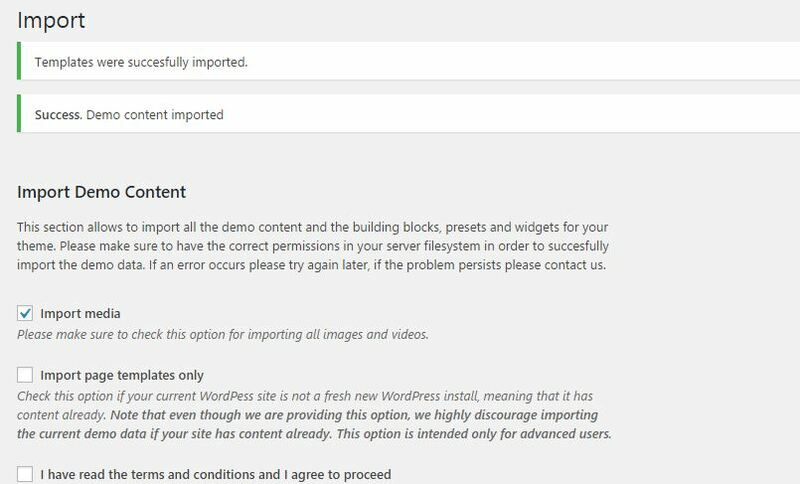 This will install all the required plugins to start importing the demo content. 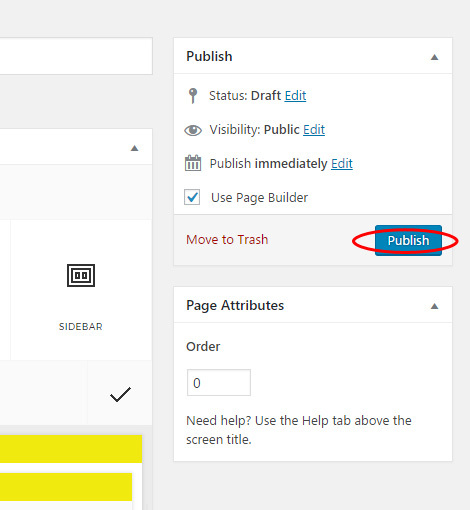 Step 2: Importing the demo content with the “Import page templates only” option checked. 1 – Go to “Assembly” -> “Import” once you have installed the required plugins. 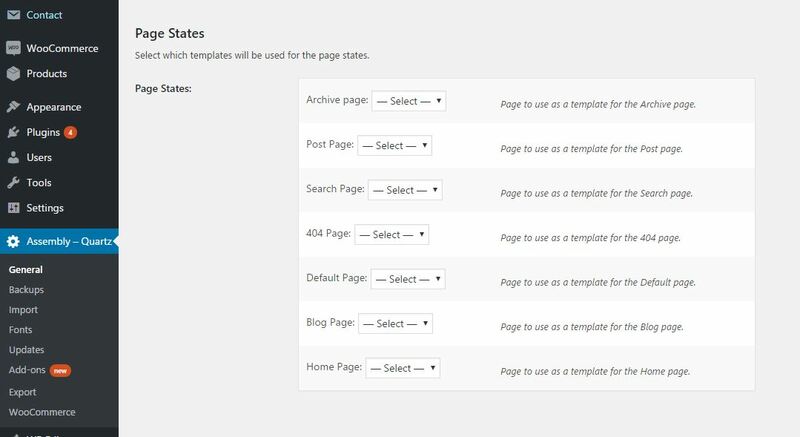 Now all your page templates are ready to be manually set up into actual WordPress pages. 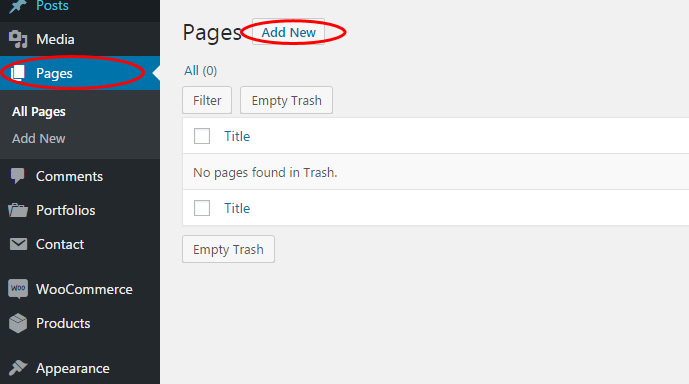 1 – Go to “Pages” and click on “Add New” to start creating a new page. 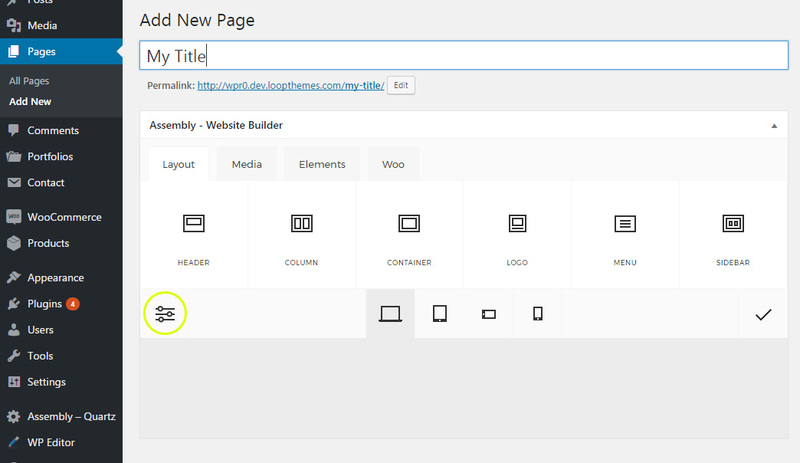 4 – Click “Done” and you will see your template loaded into your page builder. This action will synchronize your pages with the WordPress URL locations, in most cases you will not need to do anything here, however if you are setting up a page which is for instance: homepage, archive, search, 404, blog, blog posts page products page or shop, you will need to do this, (please make sure you have selected the “Static page” setting for the “Front page displays” option under “Settings” -> “Reading”). 2 – If you are, for instance setting up a home page, you will need to select your recently created page in the dropdown that says “Home Page”, this will tell to WordPress that this is your home page and will treat it correspondingly. 3 – Scroll all the way up, and click on the “Save Options” button. Step 5: Setting up your WooCommerce shop. 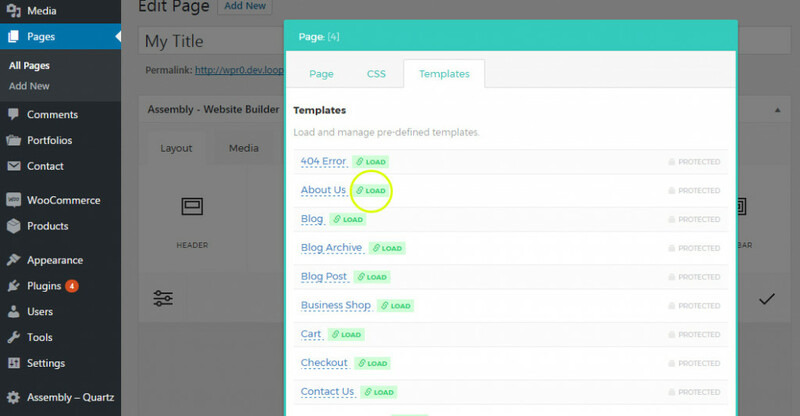 This step is only required, if you are setting up a shop on your site. 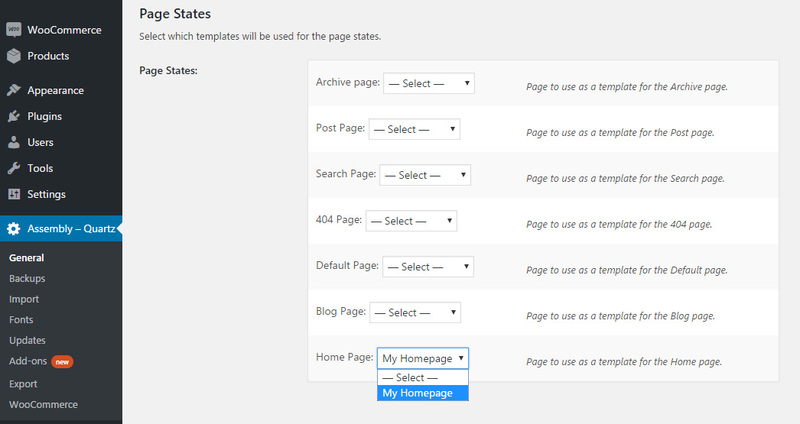 (if your theme doesn’t have a WooCommerce integration you can skip this step). You now should have your page up and running. If you have followed all the steps and you are still experiencing issues, please submit a ticket to our support system.